I love to think up alternate ways to use the kit's contents and I really love to think up ways to use the scraps leftover in the kit. You guys know that I love to use up every last bit! No scrap goes wasted in my craft room! 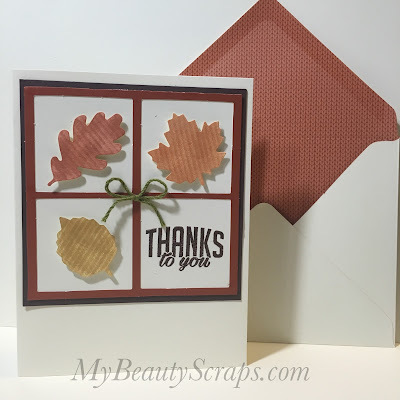 In the card below, I used the leftover leaves and the frame that is leftover after you punch out your square pieces.